If you know me, you will know that I am not one who goes for facials, spas and mani-pedis. Somehow, I just don't like to spend my hard-earned money, or the hubby's, on lavish facials which supposedly make you look beautiful and feel confident. As cliché as it sounds, I still believe that beauty comes from the inside and aging is a natural process of life that we cannot deter and need not be terrified of. Overly positive? Yeah, me. Okay, I hear you. Wait till I see those crow's feet, drooping eyelids and sagging cheeks. Well, even if I might regret it when I'm older, for now, it's just a personal choice and I choose to devote the time and money to the things, or people, I deem as most important in my life. However, while I don't go for fancy facial treatments, I do think it is vital that we cleanse our skin every day to remove any excess oil, dirt and impurities. If you don't have the motivation to do this for yourself, at least do it for your kids. After all, it wouldn't be nice to let your baby plant a kiss on your sticky, greasy, mucky face every morning and night, right? For now, all I do to keep myself feeling refreshed is to carry out a simple cleansing and moisturising routine daily in the comfort of my own home. Which, for the record, does not take more than five minutes every time because on most days, that is the amount of time I can afford to be away, in peace, from the kids. Therefore, it is crucial for me to first find a facial cleanser brand that I like and actually works. 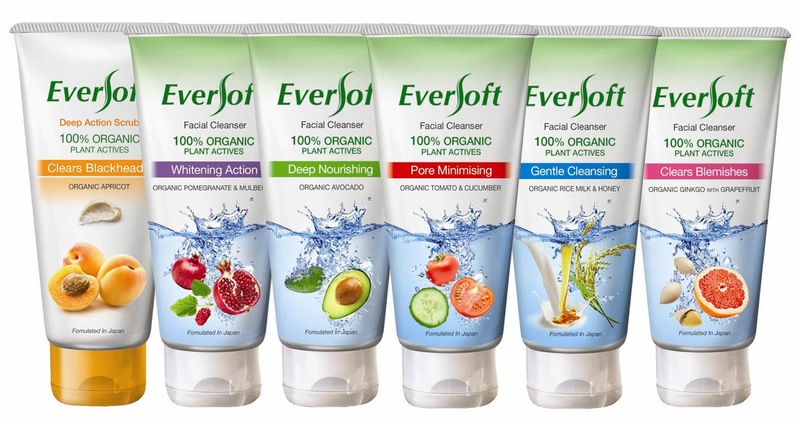 EVERSOFT Organic Facial Cleanser is the No. 1 facial cleanser brand, based on AC Nielsen Singapore Supermarket/Hypermarket Scan Sales in volume from Nov 12 to Oct 13. 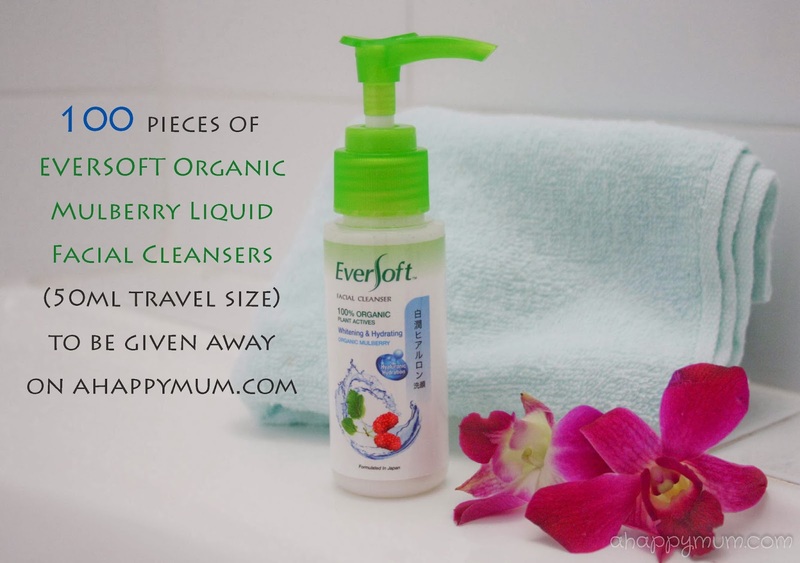 I was recently introduced to the newly launched EVERSOFT Organic Mulberry Liquid Facial Cleanser which helps to provide long-lasting hydration and whitens the skin at the same time. I don't mind being a little tanned since I am no Snow White to start with but I do believe it is important to keep the skin moisturised as much as possible. With a cleanser that can do both, why not? Formulated with Japanese technology, this formula is gentle on the skin, soap-free and infused with 100% organic mulberry extract, an antioxidant ingredient which is naturally rich in Vitamin C and Amino Acid. It is also enriched with hyaluronic acid that preserves long-lasting hydration to continuously soften and moisture skin. I like that it is concentrated and so one pump, with a little water added, is all I need to use every time. 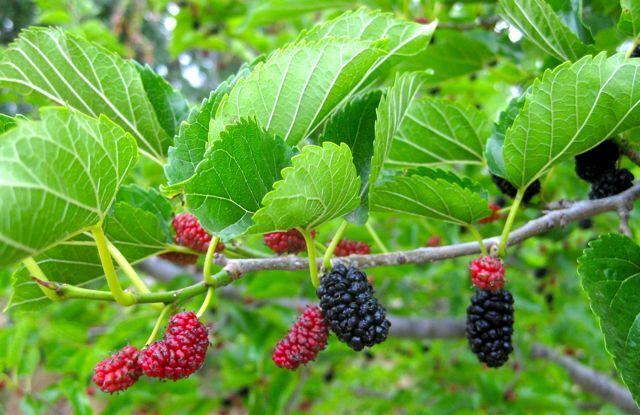 In case you don't know, mulberries, like other berries, are renowned as effective anti-aging agents and help in clearing out dark spots and other blemishes on the facial skin. Want to know how they look like? I would say their closest cousin is the blackberry. Firstly, thanks to the mulberry extract, it exudes a sweet-smelling, fruity fragrance that freshens you up instantly. Secondly, it feels gentle to the skin and gives no feeling of tightness. Thirdly, it helps to revitalise dull-looking skin and boosts the skin's natural radiance. Lastly, retailing at under $10 for a 150ml bottle, it is economical and value for money. For those who are keen on organic facial products that are in cream format, the EVERSOFT Organic range is also available in 5 other variants and a facial scrub to cater to different skin types. These are fortified with 100% organic plant actives and formulated to work effectively on Asian skin. The unique formula is infused with skin enhancing ingredients and organic extracts including avocado, apricot, rice milk and honey, ginkgo, grapefruit and pomegranate. Sounds pretty fruity and healthy, right? Gentle, effective and rejuvenating, the EVERSOFT Organic facial cleanser is definitely a great buy. While luminous skin might require more time to attain or remain a dream, I must say I am pretty contented to stick to my simple home cleansing routine for now. EVERSOFT Organic Facial Cleansers and Scrub are available at all leading supermarkets, hypermarkets and selected personal care stores nationwide. The EVERSOFT Organic Mulberry Liquid Facial Cleanser is retailing at $9.90 for 150ml, while the other range of facial cleansers and scrub are retailing at $4.75 for 100g and $6.95 for 100g respectively. 1) Click on this link and fill in the required fields. 2) Quote "Summer" in the "Promo code" field, complete the form and click submit to receive your sample. Do spread the word to your family and friends who would love to try out the product too! Redemption is while stocks last or until redemption deadline, 6 April 2014. Disclosure: This is a sponsored conversation between EVERSOFT and A Happy Mum. All opinions are my own.